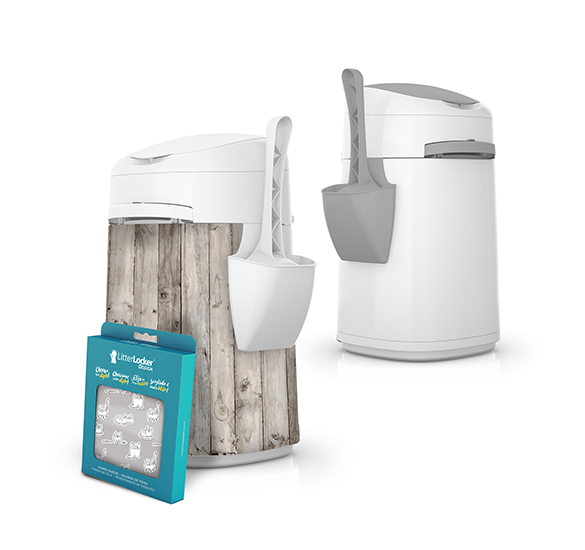 LitterLocker is a forerunner in the field of litter care with revolutionary products such as the odourless litter bin and the easy-to-clean litter box. We believe that you deserve to spend better moments with your cat, that’s why we are listening to develop quality products for your lifestyle. We simplify your life, one innovation at a time. LitterLocker was founded in 2002 by the seasoned businessman and inventor Maurice Pinsonnault. 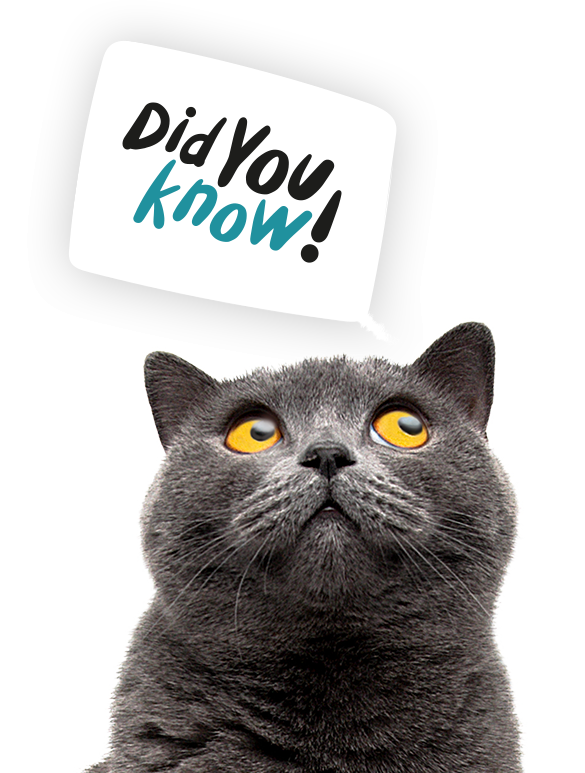 Today, it is an entire team that offers ingenious solutions that make the happiness of cats as well as their owners. Every day, we put our passion, imagination and attentiveness at your service to create unique, elegant and practical products. We are revolutionizing the world of litter by launching the LitterBox by LitterLocker. 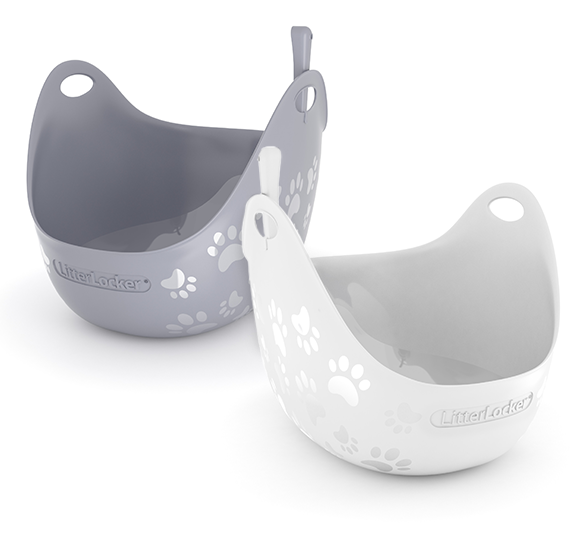 Elegant, playful and made of soft material, it is designed to facilitate the maintenance of cat litter. LitterLocker bins are now available in white and gray. We also launch the LitterLocker Design, in white only, with practical handles and optional interchangeable decorative fabric sleeves for a style that adapts to any decor. 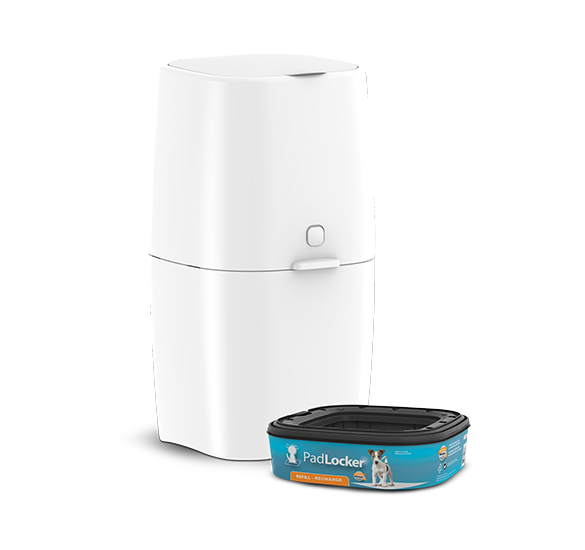 Voulant offrir une solution pour les chiens, la poubelle PadLocker, pour les tapis d’entrainement souillés des chiens, voit le jour. Ce système est une combinaison de la poubelle LitterLocker II et du système d’inspiration, la poubelle à couches pour bébés d’Angelcare. 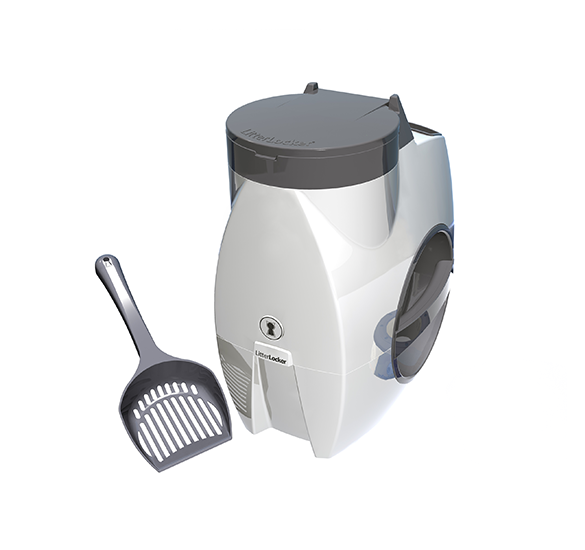 The team improves the design of the litter bin and offers the LitterLocker II model. With a more efficient system, using less plastic film that can store more soiled litter, last longer, but reducing the consumption of plastic bag. The first odour-free LitterLocker bin with round refills comes on the market. This unique system allows you to dispose of cat soiled litter. 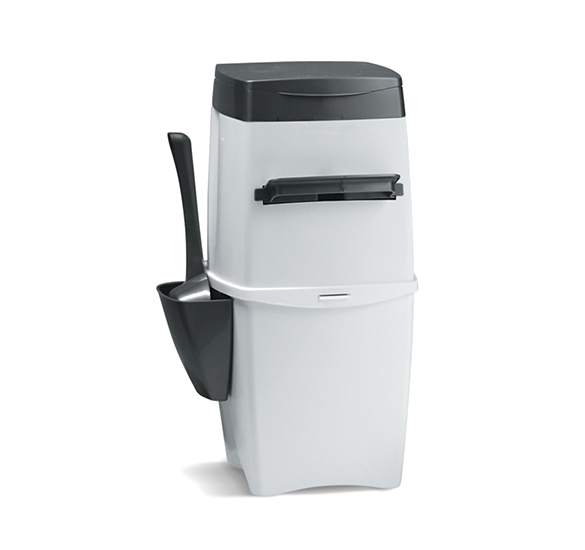 No more odours and daily trips to the outside bin. The LitterLocker bin system was first invented for baby nappy bins? Then newly dad, Maurice Pinsonnault was looking for an innovative way to get rid of baby diapers and their smell. He developed the Angelcare diaper bins, an elegant and practical product that improves the lives of parents. Its system with multi-layer bags, with a closure that traps odours, was then adapted to contain the soiled litter. His experience as a parent and cat owner has created an ingenious product that simplifies litter management.